Jerry Hodge has gotten 2019 off to a rockin’ start, wouldn’t you say? I mean, he awakes on New Year’s Day to learn that he has been named Man of the Year for 2018 by the Amarillo Globe-News. 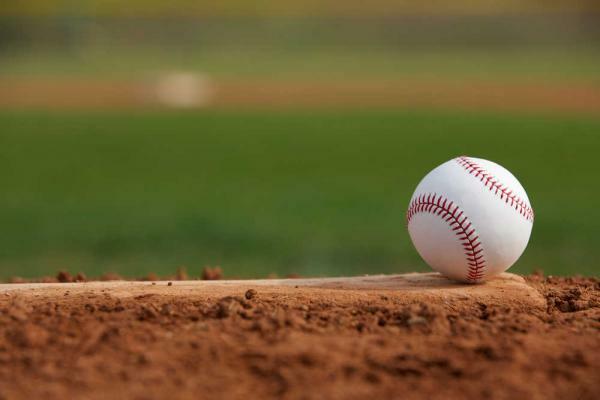 The newspaper cited the former Amarillo mayor’s work in helping bring a minor-league baseball team to the city, among many other activities he has engaged in to make the city a better place. Oh, and then we find out that the new ballpark under construction in the city’s downtown district will be named after the Man of the Year. Welcome to Hodgetown. How about that? 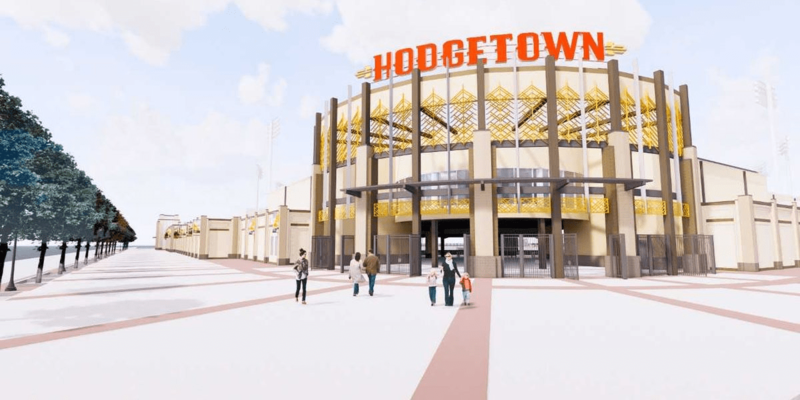 Hodgetown will be the home field for the Amarillo Sod Poodles Double A baseball team that opens its season in early. The Sod Poodles will open the season in Corpus Christi on April 4, but then will have their home opener at Hodgetown on April 8. The Sod Poodles name was chosen from a list of five finalist submissions. I initially hated the name. Then I grew to like it — if not actually love the name. Sod Poodles became my favorite among the five names being considered. I didn’t think too much about what to call the ballpark where the Sod Poodles will play hardball. Now that I have given it some thought, I kind of like the Hodgetown name. It is fitting to be named after a man who worked hard to bring the team here from San Antonio. I like, too, that it doesn’t carry some kind of corporate name. Yes, Hodge earned a fortune as head of Maxor, a pharmaceutical firm based in Amarillo. I hope the Sod Poodles management will resist the urge to put a corporate name on the ballpark. So, Hodgetown it will be! I have to say that Jerry Hodge will be rightfully proud. Beth Duke is a longtime friend of mine; I’ve known her since January 1995 when I first moved to Amarillo, Texas, to become editorial page editor of the Amarillo Globe-News, where she was serving as features editor and later as city editor. Thus, I feel safe in saying that Duke is doing what she now is getting paid to do: She is talking ever so positively about the prospects for the city’s downtown business and entertainment district. As director of Center City, that’s her job. There. Having said that, I totally agree with her assessment that 2019 is shaping up as a potentially Earth-shattering year for the city’s downtown district, as work continues full throttle on projects aimed at injecting new life into the district. I no longer live in Amarillo, but my interest in the progression of the city’s downtown rebirth hasn’t abated in the least. I am delighted at what I see happening there and to be candid, Duke and her organization have played a significant role in that effort. The Amarillo Sod Poodles, the city’s new AA minor league baseball team, opens its Texas League season in early April. My hunch is that the ballpark under construction on Buchanan Street will be full on opening day. The “catalyst” hopefully will ignite lots of related activity downtown and, thus, boost the city’s image, fatten its wallet with sales tax revenue and provide the city with additional resources to develop other parts of the city. Businesses are slated to begin filling the ground-floor storefronts at the parking garage that was erected across the street from the MPEV. Work has begun on the Barfield Building, turning that rotting structure into a Marriott hotel. It will join the Courtyards by Marriott at the Historic Fisk Building as a place that has breathed new life into a historic structure. The Embassy Suites hotel across from the Civic Center is attracting conventions. Polk Street is coming back to life. Potter County’s refurbished courthouse is a thing of beauty and the county now is beginning to discuss openly options related to replacing the Courts Building. Yes, I hear about some of the grumbling from those who want the city to invest in other neighborhoods and quit concentrating on downtown. I am empathetic to their concerns. My hope today is that City Hall is listening. However, none of that should disparage the progress that’s been made downtown. My mantra remains the same as it always has been: Show me a city on the move and I am virtually certain that the city possesses a vital downtown district. Amarillo clearly is on the move. Its downtown business district is setting the pace. A glimpse into my city’s future? ST. PAUL, Minn. — It might be that I have caught a glimpse of Amarillo, Texas’s future. It presented itself more than 1,000 miles north of the Texas Panhandle in Minnesota’s capital city. Amarillo is in the midst of a downtown renovation/revival/redevelopment. It includes a first-class hotel that’s about to open next to a first-class performance center, across the street from the Civic Center. St. Paul happens to have — and perhaps this is just a coincidence — a world-class entertainment venue across the street from a historic hotel. I didn’t see the municipal complex, but it cannot be too far from the hotel and the performing arts center, given that this city’s downtown is fairly compact. We came here to visit my cousin and her husband, who took us to see a world-class performance of “Jesus Christ, Superstar” at the Ordway Entertainment Center. Before we went to the play, we enjoyed a light dinner at the St. Paul Hotel, which was built in 1910. The hotel was packed. So was the Ordway center. Oh, did I mention that down the street in St. Paul there’s a ballpark where they play minor-league baseball? There. I just did. Which brings me to another point: Amarillo is about to break ground on construction of a multipurpose event venue/ballpark which — another coincidence! 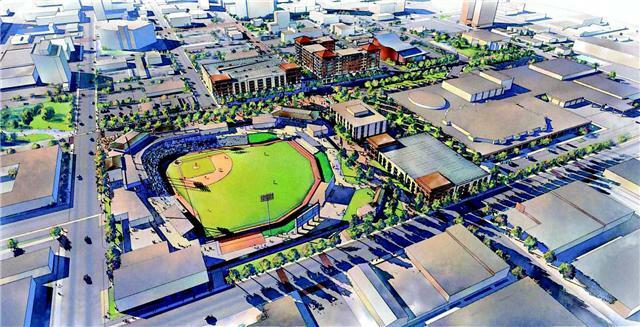 — will be the home field for a AA minor-league baseball team that will relocate to Amarillo from San Antonio. They played a ballgame at the St. Paul ballpark. After it ended, they shot off fireworks that entertained a huge crowd of folks gathered in an outdoor park. I now shall put some of this into a bit of perspective. St. Paul’s population is about 304,000; Amarillo’s is at 200,000. St. Paul is next to Minneapolis; its metro-area population is about 3.5 million residents, while Amarillo’s metro population is about 280,000. St. Paul is separated from Minneapolis by the Big Muddy, aka the Mississippi River; Amarillo doesn’t have that kind of waterway coursing through it. So, I realize I’m not making an apples-to-apples comparison. I do, though, intend to suggest that economies of scale can produce success for Amarillo’s effort to remake its downtown district. Our city’s economic development gurus keep looking toward places such as Fort Worth and Oklahoma City as benchmarks for Amarillo’s potential future. They, too, have done well to revive their downtown districts. I continue to harbor enormous optimism that Amarillo’s effort is going to produce success. Will it reap the pound-for-pound harvest that other communities have hauled in? Not necessarily. If Amarillo is smart, aggressive and creative in its marketing of what lies ahead, then it surely can enjoy the fruits of it all. We came up way up north and saw what looks to me like a potential glimpse of what lies ahead for Amarillo, Texas. 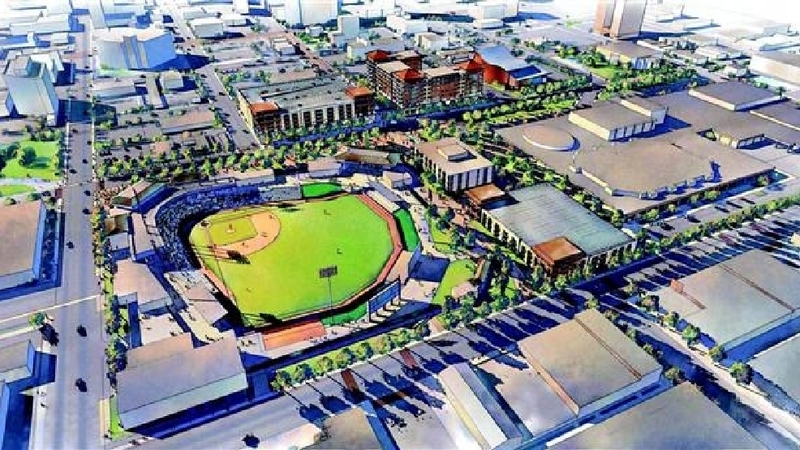 AA baseball may come to Amarillo … and that’s a bad thing? I’ll admit to sitting in the peanut gallery these days while events swirl around Amarillo City Hall. Thus, I am not privy to many of the details to all that is happening in our city in transition. 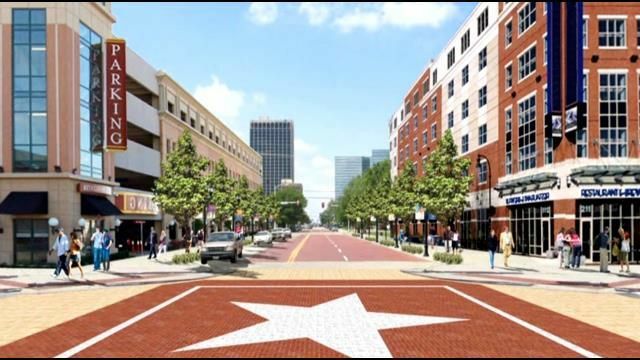 The news out of San Antonio, though, has piqued my curiosity about the future of Amarillo’s pending downtown project. I refer, of course, to the multipurpose event venue, aka the MPEV and/or The Ballpark. I understand the San Antonio Missions are departing that city, which is going to welcome a little better grade of minor-league baseball. The Missions play AA ball; San Antonio is recruiting a AAA team to relocate to South Texas. Now, as I’ve read in the local media, Amarillo is the only place the Missions are considering as a new home. Amarillo Mayor Paul Harpole has said something about the “stars lining up” to lure the Missions here. The prize being dangled in front of that franchise? The prospect of the team playing in a shiny new ballpark downtown, next to City Hall, across the street from a new convention hotel, and just blocks from Polk Street, which is being reconfigured into an urban entertainment district. The price tag on the MPEV/ballpark has escalated past the $32 million price tag hung on it when it went to the voters this past May in a non-binding citywide referendum. Voters said “yes” to the MPEV and plans are proceeding to develop a firm design and cost for the project. Yet I keep reading on social media and hearing some gripes around town about the deal. I’m trying to understand why the lure of a minor-league baseball franchise affiliated with a Major League Baseball organization is somehow a bad thing for Amarillo. The Thunderheads — the independent team formerly based exclusively in Amarillo — is going to play half of its home games this season here and in Grand Prairie. The games they’ll play in Amarillo will take place at the rat hole/dump formerly known as the Dilla Villa next to the Tri-State Fairgrounds. 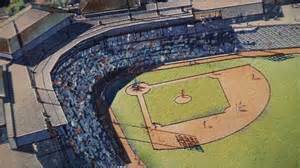 The way I see it, if the city can maneuver itself into building a first-class baseball venue downtown and then link it to an arrangement with a AA franchise that will play some good old-fashioned hardball, then it looks to me as though the city has scored a significant victory. So, again I ask: Why is that a bad thing? Let’s hang a proverbial “No Vacancy” sign on what supporters hope will be a multipurpose event venue to be built in downtown Amarillo. You see, it’s been reported that all 12 luxury suites designed for the MPEV have been sold. None left. It’s that ballpark element that’s drawn all the attention from the buyers. They want to enjoy minor-league baseball in the relative comfort of the suites. Wow! Imagine that. Customers jumping at the chance to watch a little baseball in a shiny new sports venue. No money has been laid out yet for the suites, but Advance Amarillo — a group supporting the MPEV — says without equivocation that enough buyers are waiting in the wings that the suites will be sold out when then project is built. Gosh, isn’t that what proponents have been saying all along would happen? Well, I don’t know what the verb “precursor” is meant to convey. But what the heck. There is no effort being made to “tell Amarillo what they want.” The news is merely intended to report that the suites are being claimed by those who want in. I believe that the MPEV — if it’s allowed to move forward — will produce significant interest among those who want to sit in a nice venue to watch an athletic event. It beats the daylights out of the dump — Potter County Memorial Stadium — that serves currently as Amarillo’s baseball venue. This just in: The Amarillo City Council has voted to send a multipurpose event venue proposal to the ballot this November. It’s going to let the city’s voters decide whether to proceed with a project that has become the central issue in the city’s grand plan to renovate and revive its downtown district. OK. I now will say right up front: I believe this was the wrong decision. Does this surprise anyone? Not me. Harpole and Eades have been working on the nuts and bolts of this project since the beginning. They have a stake in its success. They want it to move forward. Do not expect Harpole and Eades to roll over on this issue. The new councilmen? Well, they came into office professing to push for change. Well, they’ve made good initially on their pledge. The change they’ve just approved now puts in jeopardy a major element in the city’s effort to move forward with its downtown future. They believe, I’m going to surmise, that voters don’t want to build the MPEV. They’re hoping the MPEV dies at the hands of voters, whose decision will be allowed to stand because the council wouldn’t dare refuse to ratify whatever result comes from the election. The referendum isn’t legally binding, but it certainly is binding politically. I do not want to see the MPEV defeated. I want it built. I believe it is going to produce benefit for the downtown district, which will ripple throughout the city. I believe creative marketing strategies can make the MPEV an attractive venue for entertainment and sports activities. I believe the hotel-motel tax revenue is a viable money stream. I believe the city has negotiated this project in good faith. And I believe the naysayers — led by the three new council members — are making a huge mistake in trying to blow this project up. Now, let’s debate this project openly, intelligently — and without demagoguery. Something tells me that Amarillo has a budding crisis of confidence on its hands. Wallace Bajjali, the developer hired by downtown business and civic interests to ramrod the development of the downtown business district, has vaporized — or so it appears. The company, based in Sugar Land, was supposed to spearhead the effort to collect enough private investors to build (a) a downtown hotel, (b) a multi-story parking garage and (c) an athletic field, aka “multipurpose event venue,” or MPEV for short. As of today, or perhaps as of some undisclosed time prior to today, the company has closed up shop. Its office in Joplin, Mo., has been shuttered. Its headquarters phone number is Sugar Land has been disconnected. David Wallace, one of the principal owners of the firm, has quit. Many of us throughout the city are likely wondering: What the hell has just happened? Someone will need to explain this thoroughly and in language we all can understand.